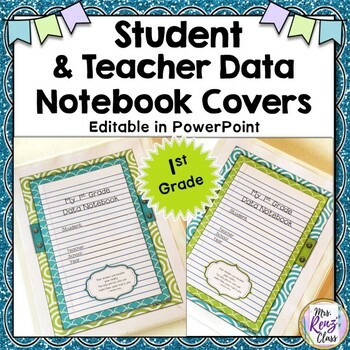 Student data binders should be cute and colorful! 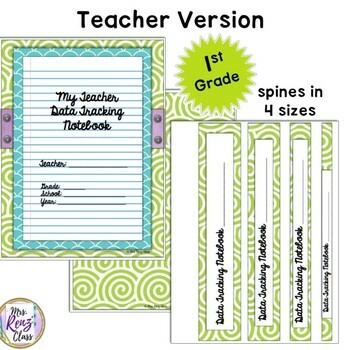 Use the editable 1st grade data notebook binder covers, backs, and spines for both students and teachers. There are 11 pages of PDFs and 11 pages of editable PowerPoint slides that you can type student information into. Just add your own data tracking pages and collect data YOUR way! 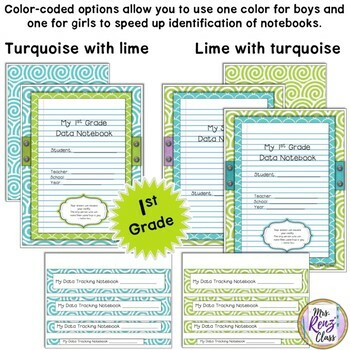 Organizational Tip: The set is color coded (blue with green and green with blue) so you can assign girls one color and boys the other to save time finding the binder you want. 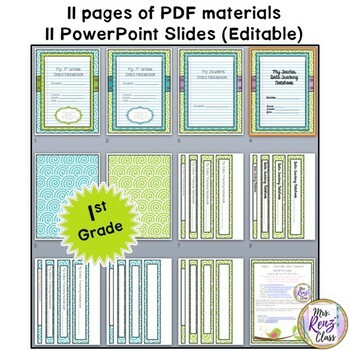 The teacher binder has a purple stripe to make yours stand out next to the student copies. Enjoy great looking data notebooks with this set!